What is it like to work at...Barrow Cadbury Trust? Do you have what it takes to develop and direct the Fair by Design Change Programme at Barrow Cadbury Trust to help eliminate the poverty premium? Barrow Cadbury Trust is currently recruiting for a director for its Fair by Design Change Programme, which aims to eliminate the poverty premium within 10 years. We spoke to Sara Llewellin, chief executive at Barrow Cadbury Trust, to find out more about the role, the Change Programme and what it’s like to work for the Trust. Barrow Cadbury Trust is an independent, endowed, charitable foundation and it’s the largest of the several dozen Cadbury family foundations. Building on its Quaker roots, it seeks long term solutions by looking at root causes of inequality. The problems we address at Barrow Cadbury Trust are complex so we often work in partnership and collaboration; with grant-holders, other trusts and foundations, and local and national government, to identify solutions. We focus on a small number of distinct policy areas and try to influence them by building an evidence base, advocating for change and ensuring the voices of people affected by social injustices are heard in the debate. Why is the Trust interested in Fair by Design? Like many charitable trusts, the Barrow Cadbury Trust has traditionally used its endowment to invest in mainstream investments, albeit with an ethical filter, and has used the income generated to fund our programme of work. In 2010, the trustees decided to use part of the endowment to further the aims of the Trust through investments in charities and social enterprises, aiming to achieve both a social and a financial return with the funds. A cluster of our social investments are tackling the poverty premium so we were keen to join forces with the Joseph Rowntree Foundation and Big Society Capital when they developed the idea of a fund specifically to tackle the poverty premium. 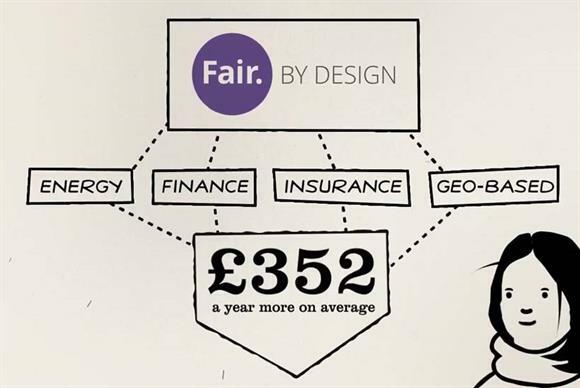 The Fair By Design founders have established a £9m fund for direct investment. However, the Steering Group of Fair by Design recognises that merely investing in social enterprises is unlikely on its own to change regulatory frameworks, policy, public opinion or corporate behaviour. So we decided to run an influencing programme – the Change Programme – alongside the Fund. The Change Programme will work to eradicate the poverty premium within 10 years by assisting corporate players to improve products and by influencing stakeholders such as regulators, policy makers and the public. It could also commission research where needs are identified and budget is available. What role are you currently recruiting for and what does it involve? We are seeking the key postholder to develop and direct the programme. He or she will recruit a small team, refresh the theory of change and work to both the Barrow Cadbury Trust board and the Fair by Design advisory group. The Trust is looking for a senior professional and experienced strategic manager who is used to an outward-facing promotional role. They will have a very good grasp of the poverty policy ‘landscape’ and familiarity with social sector players as well as having experience of managing budgets or funds, alongside an excellent policy/influencing track record Excellent interpersonal and development skills will be needed, as well as a personal commitment to the promotion of social justice and equality. Why would someone want to work for Barrow Cadbury Trust? This is an exciting opportunity to tackle something which is both very tangible and complex at the same time. The director of this programme will have a lot of autonomy and the opportunity to influence at both the highest and the most practical levels. The Trust is recognised for its thoughtful approach, its partnership working and the quality of what it does. Joining the Trust brings both responsibility and opportunity, particularly as we develop and deliver this new programme of work. We are a close-knit and highly motivated team, bringing a diversity of skills and experience to our social justice work. Joining the Trust means that you will be joining an organisation which has a depth of expertise, a breadth of connection, a supportive and reflective learning ethos, a skilled and experienced governing body, senior management team and wider staff group. What is it like to work on the Connect Fund at Barrow Cadbury Trust?